Part Two of the play written especially for radio by the young English author James Morgan. These are three interdependent plays that are highly sophisticated versions of the fairy tale "The princess and the frog". The cast includes Charlotte Lane, Robert Bernard, Ted Royce and Sailor Cresswell. The play was directed by Sarah Schilling. Technical production and special effects by Richard Brause. The Mind's Eye Theatre is produced by Baird Searles. Eleven seconds of test tone at beginning of recording. 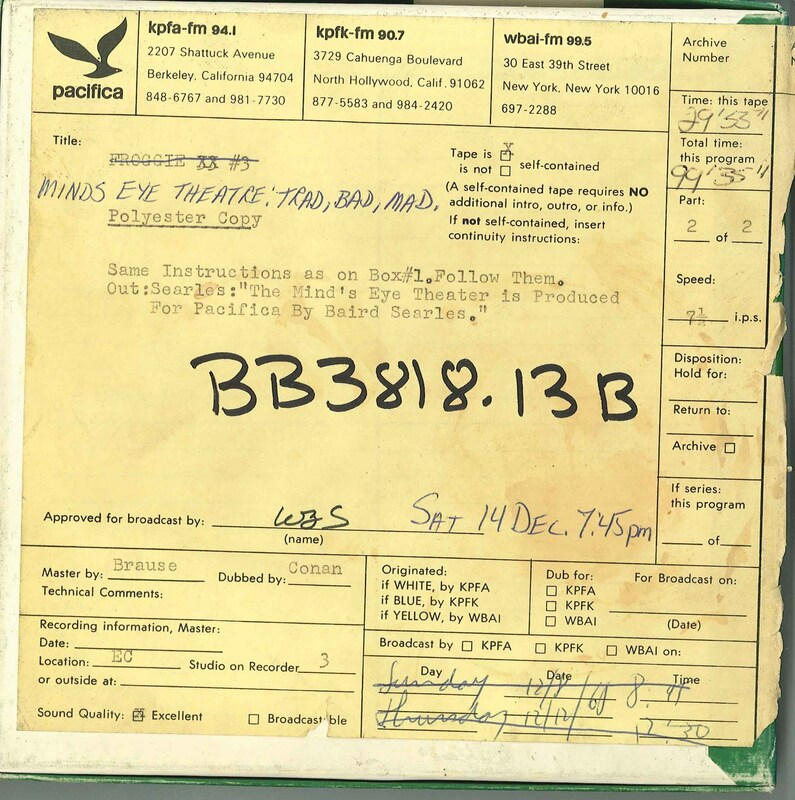 This recording was formerly cataloged as BB3818.13B and as BB3818.28B. 2 reels (100 min.) : 7 1/2 ips, mono.